The Gironde département is known for its capital city, Bordeaux, and for its world-famous winemaking regions of the Médoc, Saint Émilion, and more. France's département of Gironde, in the southwest of the country (map), includes its capital city of Bordeaux, and many of the region's most famous winemaking areas, such as the Médoc and Saint-Émilion. There's also the delightful little Atlantic coast seaside resort town of Arcachon and, near it, the Dune du Pilat, the largest sand dune in Europe. 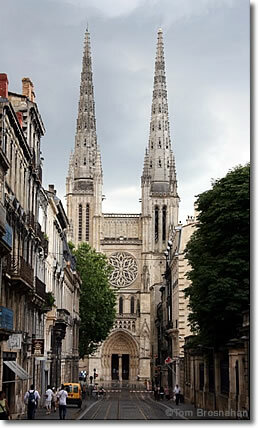 Cathédrale de St-André, Bordeaux, Gironde, Aquitaine.